In a joint statement, the top Alaska state officials voiced concern about Kavanaugh potentially voting to strike down the Affordable Care Act's Medicaid expansion and its protections for patients who have pre-existing conditions. Last year, Murkowski helped defeat a Republican-led effort to repeal the health care law in the Senate. Walker and Mallott also cited the recent sexual assault accusation made against President Donald Trump's high court nominee, stating that "a thorough review of past allegations against Mr. Kavanaugh is needed before a confirmation vote takes place." Murkowski has already been under pressure from a key constituent group to oppose Kavanaugh's nomination. Earlier this month, the Alaska Federation of Natives ― a massive statewide Native-American organization that represents more than 20 percent of the state's population ― went from taking no official stance on Kavanaugh to announcing its opposition on Sept. 12. Walker and Mallott noted in their statement that Alaska is home to 227 indigenous tribes, arguing that Kavanaugh's views on Native issues could jeopardize the "Indian Child Welfare Act, Alaska Native Claims Settlement Act, and other laws that enable tribal self-determination." 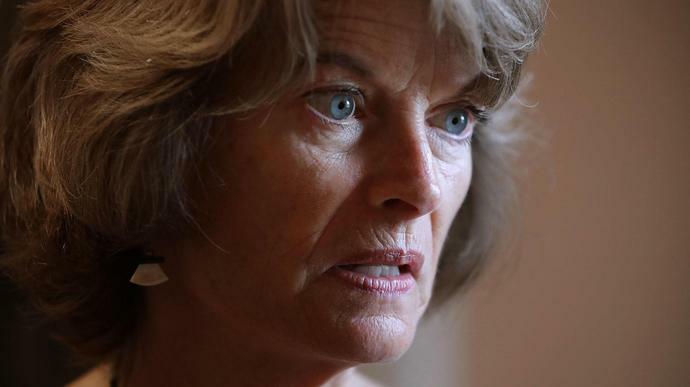 Murkowski has been tight-lipped about Kavanaugh's nomination. But the Alaska senator appeared to downplay questions about his views regarding tribal law earlier this month. "This is not a body of law he is often exposed to," Murkowski told reporters last week, after Kavanaugh testified at his Senate confirmation hearing. Still, it's not clear how much Walker's opposition to Kavanaugh will factor into Murkowski's decision. While Murkowski has relied on independents as a base of political support in Alaska, Morning Consult found Walker's approval rating at 29 percent and his disapproval at 54 percent, making him the fifth most unpopular governor in the country.